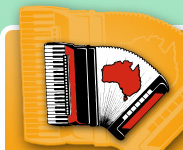 The primary aim of the AATA is to promote and encourage the playing and enjoyment of the accordion and to improve the standards of accordion playing in Australia. The association wishes to encourage music festivals, competitions, music examinations, master classes, to present international level concert artists and competitors, so Australian accordion enthusiasts can see and hear the best players in the world. With such activities, we hope to help raise the standards of accordion teaching and playing in Australia. It is our hope that all these activities will foster the popularity of the accordion in our country and raise its image to equal other musical instruments.